First, it’s not your job to “fix” your child. Even if you imagine that their sexuality is broken (though, I don’t believe it is), trying to change or fix that is only going to do harm. We have lots of scholarship now proving this. Human biology, the intricacies of the human mind, and sexual attraction are mysterious and complex things. Some people do experience subtle shifts in their sexual attractions, but these shifts don’t come from therapy, shaming, or discipline. 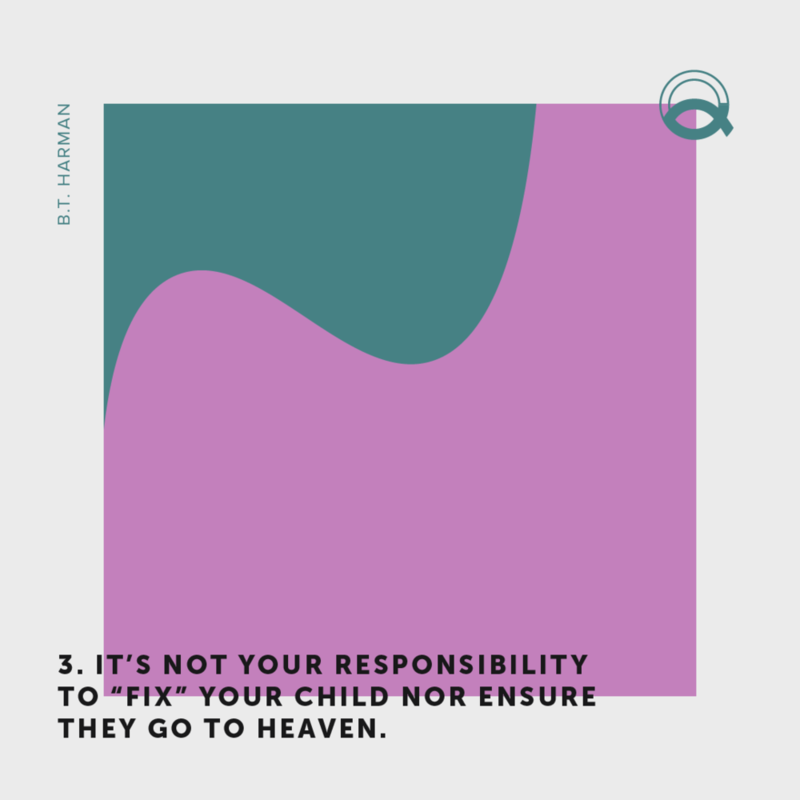 Second, it’s not your responsibility to ensure your child makes it into heaven. This may seem controversial, but it shouldn’t be. Think about it: You aren’t actually responsible for the well-being of anyone’s soul but your own. Of course, parents want their child to thrive physically and spiritually. But at the end of the day, each of us can only be responsible for one soul: our own. Lots of parents are tortured over the thought of their LGBTQ child’s eternal destiny, but they shouldn’t be. You are responsible for your soul and your child is responsible for theirs. You can let that fear go. No amount of worrying or anxiety will move the needle on your child’s sexuality. Not one iota. Remember, it’s not your responsibility to fix your child nor ensure they go to heaven. Register here for the Parent Summit happening in Atlanta next month!